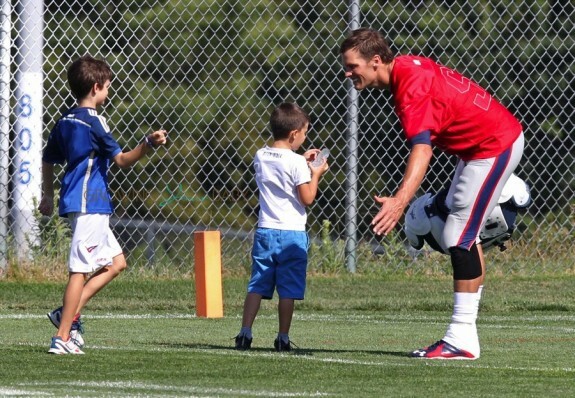 New England Patriots quarterback Tom Brady was photographed spending time with his sons John and Benjamin after practice in Foxboro, Massachusetts on Monday August 10, 2015. 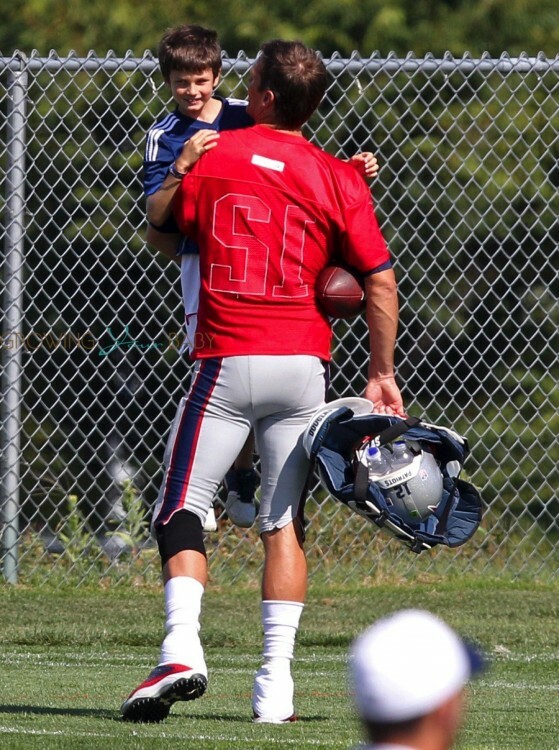 All smiles, Tom picked up John and gave him a big kiss before heading down to the opposite end of the football field. The visit came just 2 days before the quarterback was due in court in NYC with NFL Commissioner Roger Goodell. Tom and the league are looking to find a middle ground in the QB’s four-game suspension for his role in Deflategate at the end of the 2014 Season. The Patriots play on Thursday night, but Tom won’t likely join them. Coach Bill Belichick has a tough “no practice, no play” rule and Tom missed practice on Tuesday to meet with his lawyers so he isn’t expected to play in the season opener against the Green Bay Packers.